Tens of millions of people were hunkered down Monday morning, bracing for howling winds, torrential downpours and storm surges that authorities warned could bring devastation unlike anything they’ve seen. Superstorm Sandy could affect as many as 60 million people. “This is the most catastrophic event that we have faced and been able to plan for in any of our lifetimes,” Connecticut Gov. Dan Malloy warned. 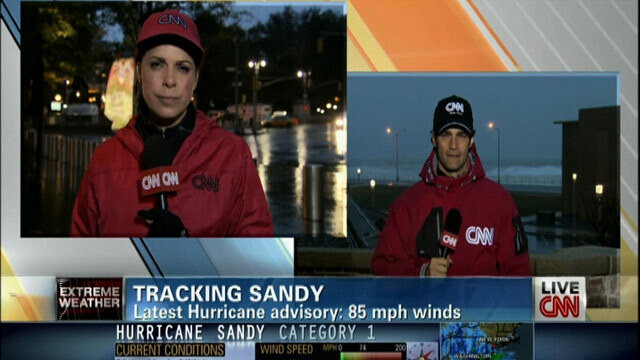 CNN’s comprehensive coverage of Hurricane Sandy includes CNN’s Weather Team in studio from Atlanta, as well as correspondents on location in New York, New Jersey, Washington, D.C., Maryland and North Carolina.